*Rental and taxes paid at time of reservation. Deposit paid upon arrival. * WE DO NOT ALLOW TUBING OR PULLING OF FLOATS. * We do not provide anchors with our boats. * Renter must be 18 years of age. * The security deposit on boat rentals does not apply to the rental fee. * Full payment required at time of reservation. Deposit required at arrival. * All boat rentals are subject to a 6% Kentucky Sales Tax. 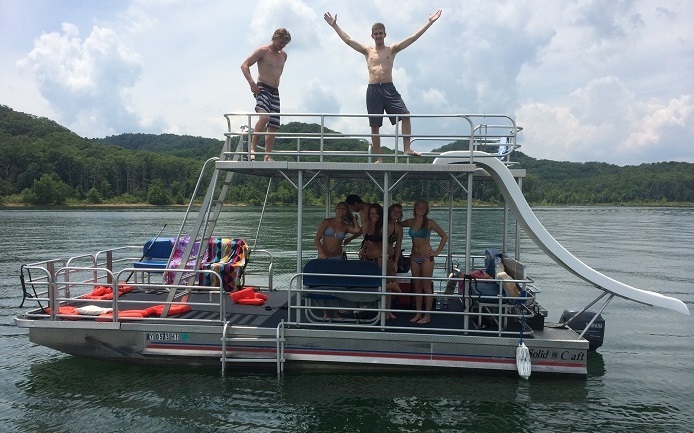 * Fishing and pontoon boats are rented daylight hours only. Rental hours are posted in the store. * Gas is at the expense of the renter and not included in deposit. * The renter is responsible for damages to the boat or motor, or third party boats. * Never leave the dock in a boat without a life jacket for each person on board. * 20% of rental price (taxes not included) will be refunded if cancellation is received within 21 days prior to rental date. All cancellations within 21 days, the refund policy is void. If rental date is changed the 80% cancellation policy is void. * Renters with reservations must be here or notify the marina by 10 AM the day of the rental or renter will forfeit money paid and boat will be re-rented. * No refunds due to weather.